Want to NETWORK with some like-minded entrepreneurs? Need some fertilizer to GROW this year? Did you put the word LEARN on your list of goals for 2018? The opportunities are waiting for you and are growing every year! 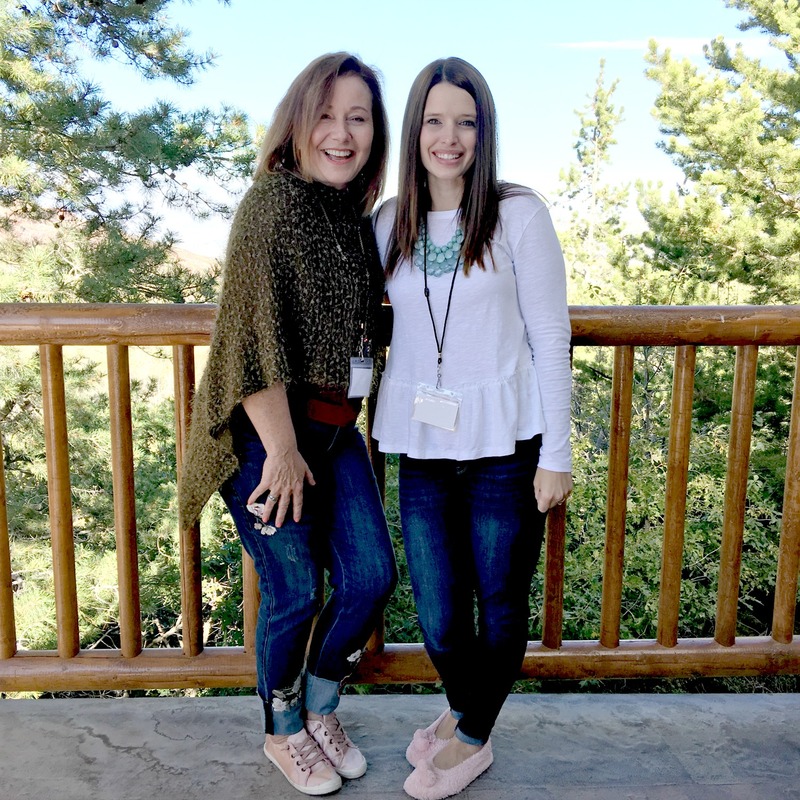 If you are new to blogging or a seasoned blogger, there is a conference or retreat for you. 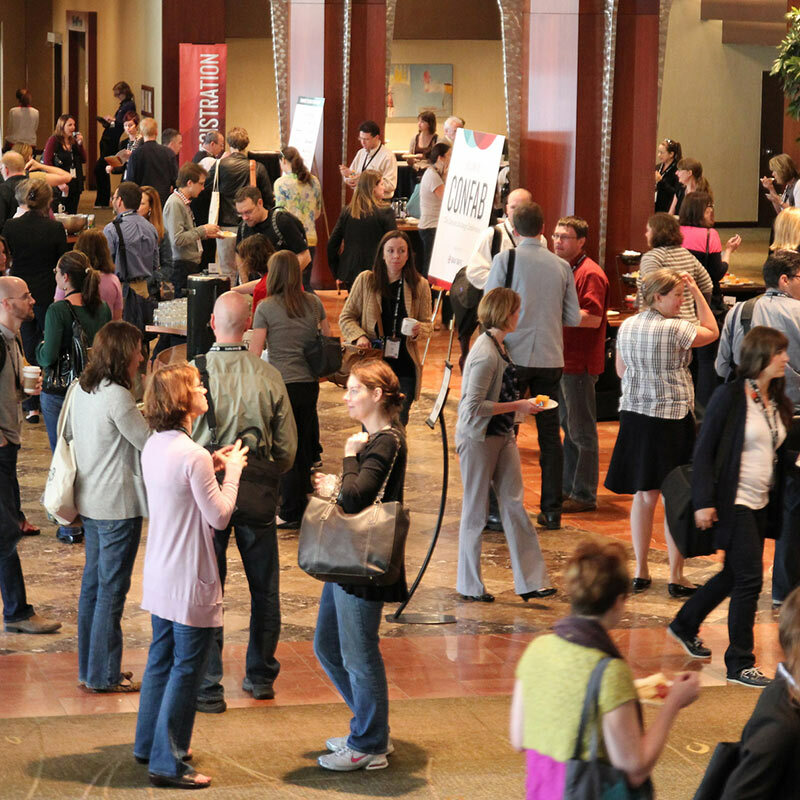 A Blogging Conference is usually a larger number of registrants. Classes are typically so numerous, you won’t be able to attend them all. There are LOTS and LOTS of SPONSORS on hand and it can be an excellent opportunity for you to introduce yourself and make a sponsorship connection. Often the Sponsors attend the retreat so you will know them as well and your take home FREEBIES can be HUGE! I would recommend checking out the links to the various Conferences and Retreats and see what intrigues you most. The price or location or date may end up influencing your decision. If the speakers or theme have been announced that could also help you decide. 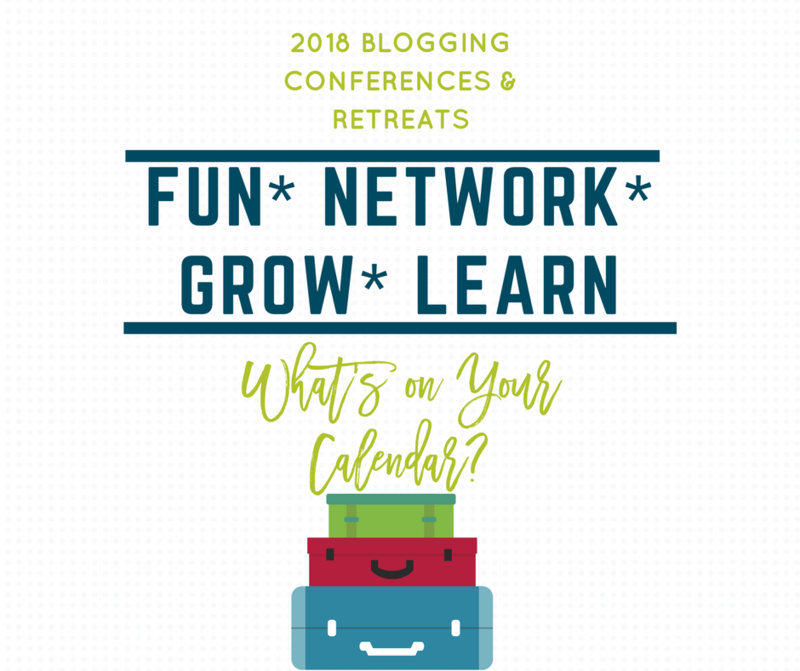 Lastly, many of the conferences and retreats are Niche Specific and you definitely don’t want to go to one that doesn’t suit your blogging style. 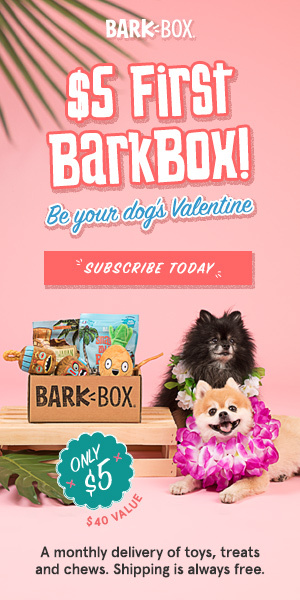 Affiliate links within. A little bit late, but if you see one you like, pop it on your schedule to sign up for so you can start your year off right! 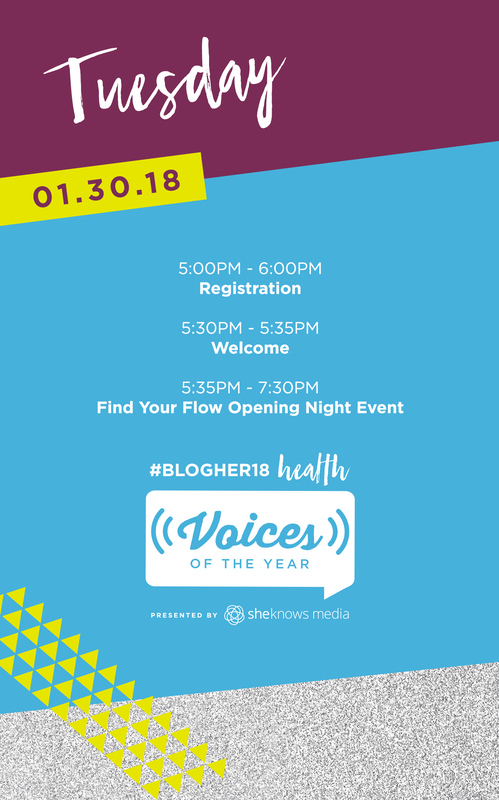 Blogher 2018 has a Health focus in NYC this year. 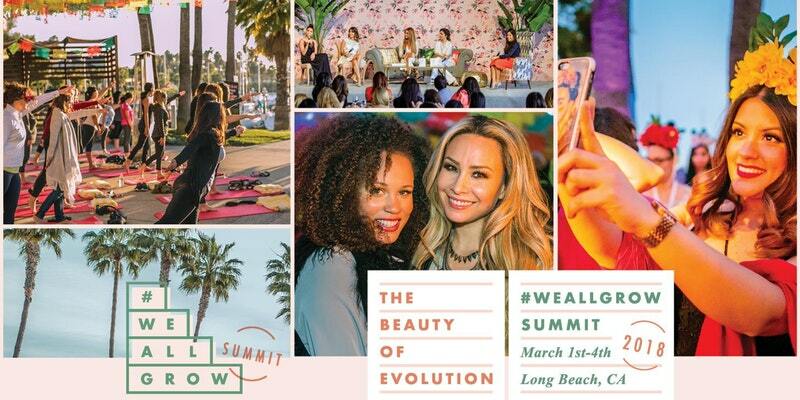 This very popular Female Only Blog Conference will feature Jillian Michaels this year among many other fabulous speakers. Tickets remain available for just three weeks away! Check out their site and agenda and speakers and take yourself to the Big Apple! 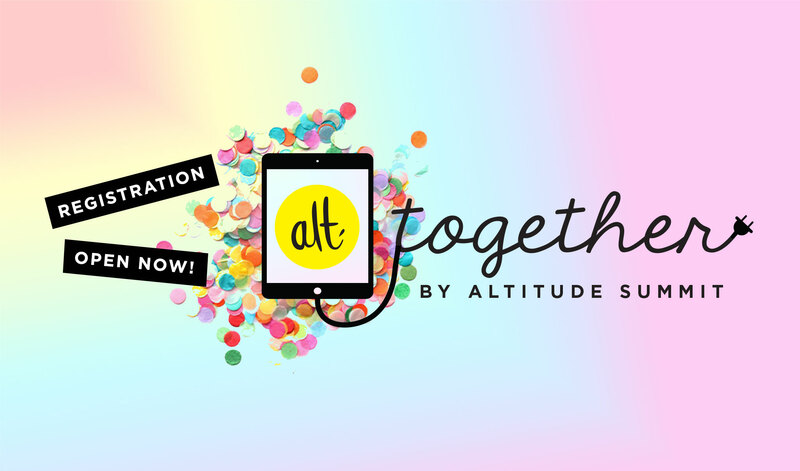 The Alt Summit is already SOLD OUT for 2018! This conference began in 2009 for Designers but has since evolved into a conference for pinners, bloggers, instagrammers, shop owners, bloggers and vloggers. It has been held in Salt Lake, San Fransisco, this one is Palm Springs. It is very creative and fun but don’t let that sway you into thinking you aren’t learning anything. It has a lot of meat to dish. They are also very pointed in telling you that your can be an advanced creative or just getting into the field. This year’s tickets sold out in 2 HOURS! So, if after you check this one out, you love it…get on their mailing list so you will be on the ball when they put their tickets on sale for 2019. Social Media Marketing World is a HUGE and usually sold out event. It is put on by Social Media Examiner, one of the best places to get up to the minute news on anything social media. The speakers are extraordinary and so is the price. The speakers are founders, creators and influencers world wide. The price starts on SALE now at just under $700 for a VIRTUAL ticket! Yes, that is correct. You can pay that and stay home. The tickets increase with increased access to over $1500. If you are rich, already making a good income from your blogging, then go! For me this will be out of my scope for a while. But I would love to hear from anyone who has gone or bought the virtual ticket. Design Bloggers Conference is for Interior Designers, Bloggers and Brands whose focus is the luxury home. Held in Beverly Hills, CA has rave reviews that says this is a game changer for it’s attendees. With 26 educational opportunities and 43 speakers, it is jammed packed with juicy goodness for those like me who adore the home industry. SNAP is a very popular Bloggers Conference in my circles. For creatives and lifestyle influencers. Held in Salt Lake City, this 3 day conference looks filled with fun. The speakers have not yet been published at the time of writing. I have not attended but got some very excellent reviews from friends who have as well as a speaker from last year. The Pinners Conference is offered multiple times throughout the year in multiple locals. The first is in April and to be held in San Fransisco. 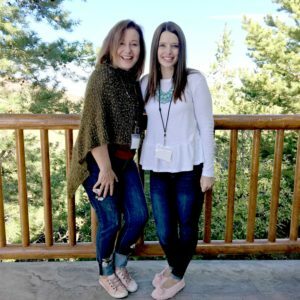 This Conference has classes taught by Pinterest Pinners and offers more than 300 business booths that bring things like Scrapbooking, Fashion, Cooking, Photography, Party Planning and more. This one is very inexpensive, $8 for the general admission and then you pay $15 – $29 for class passes which includes the $8. I would say it is more of an expo. But if it is coming to a town near you, it may be fun to visit and learn something. They have a “Pinner’s Library” that is available for use all year long. CONFAB is a content strategy conference for writers, marketers, tech, but what the heck, bloggers are all of that. It definitely looks like some really stunning speakers and material. 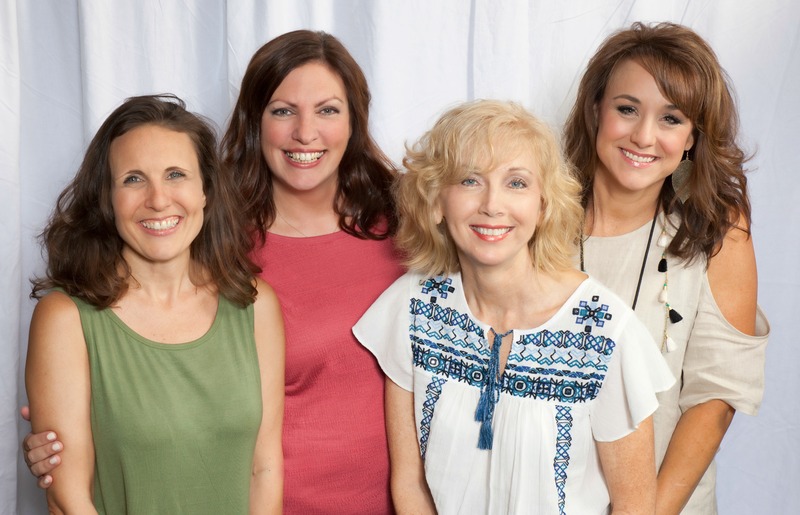 MOM 2.o is Moms-Marketers-Media and is celebrating its 10th anniversary this year. Explained as an open conversation between Moms and Marketers and Media as influencers. You can check out previous dates to see if this one is for you. I’m a mom, but probably not what they are looking for! Blog Fest is for health, fitness and nutrition bloggers. 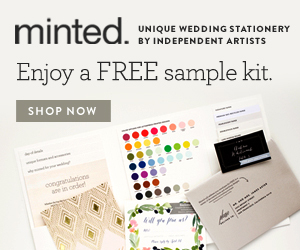 You know this is going to be fun~ This is FREE for bloggers, but you have to APPLY and get accepted. So there you go! 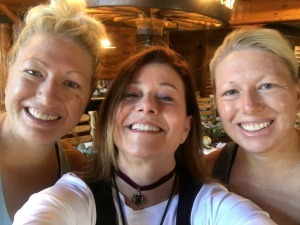 Blog Well Retreats are spread out in 3 cities at 3 different times of the year. Since at the time of this publication, the January date has already passed, I omitted it. 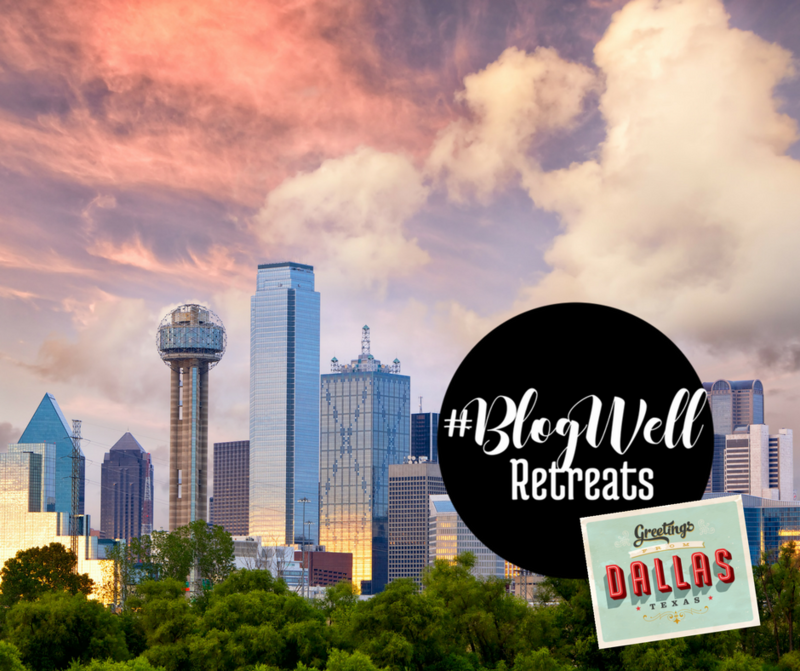 But coming up in June we have #BlogwellDallas. Each Retreat has its own focus. 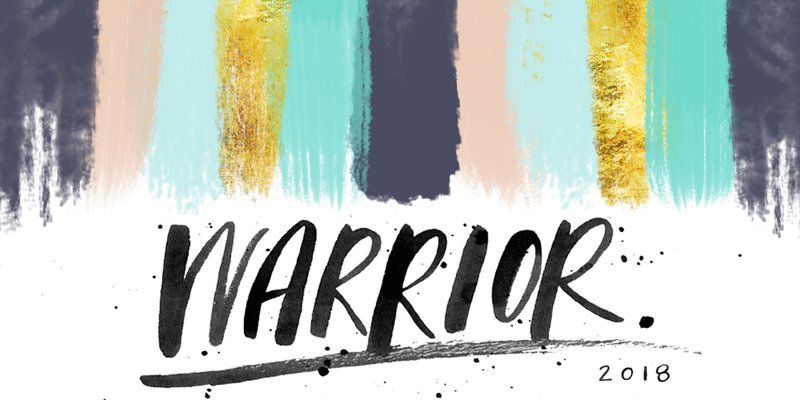 Their is EARLY BIRD pricing, so if this one interests you…get on it! This is a one day, classroom type setting, but you can sign up for the additional VIP day where you get small group coaching for your business. Check it out and see if this one is for you. 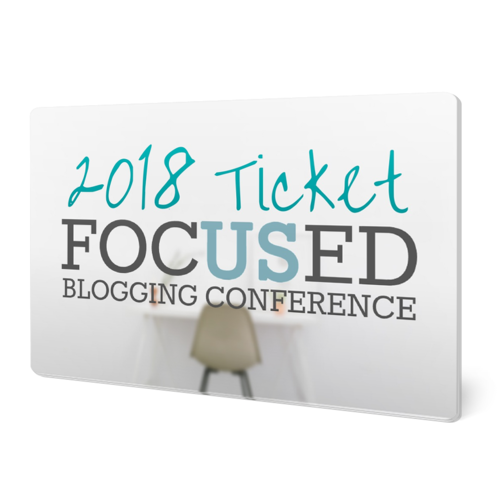 Focused Blogging Conference is a 3 1/2 day gathering with small groups, hands on, mentoring, workshops and classes. Several meals are included and you receive a recording of all of the classes as a bonus. I have to be honest, this one really sparked my interest. I had never heard of it before, it has a great amount of detail in it about what you are going to learn and it seems suited for me where I am right now. The price is getting up there, though they are still at the time of publication, offering the EARLY BIRD discount of $75 off. They offer breakfast and lunch buffet style networking meals so you can really connect with others. One of the Sponsors this year is Shareasale whom I am affiliated with. Had amazing reviews. Haven is one of the more popular conferences in my network of bloggers. I actually had purchased a ticket to attend my first year of blogging but my sweet daughter found out she was expecting her first baby and our first grandchild the week of the conference, so I had to sell my ticket. Since it was his first birthday the following year, well, I don’t know if I will ever get to attend. Though it is geared more for DIYers and I am not one, those who have attended told me that it would work just fine for a decor and lifestyle blogger. The cute little blonde in the front, Rhoda of Southern Hospitality Blog was the first blogger I ever read and chose to do one of her DIYs. I told you guys that isn’t me. Funny thing is it was staining my staircase and in the next few months I need to re-address that project and paint them. I have only heard great things about this conference. I am familiar with many of the speakers as people I have learned from online. The cost is reasonable, lots of sponsors, and you will see lots of friends! International Food Bloggers Conference will be held in New Orleans this summer! Can you imagine? This is going to be a blast…a very tasty blast~ Excursions to local eateries, Brand to Blogger sessions, workshops and much more in this historic city known for scrumptious food, entertainment and music. 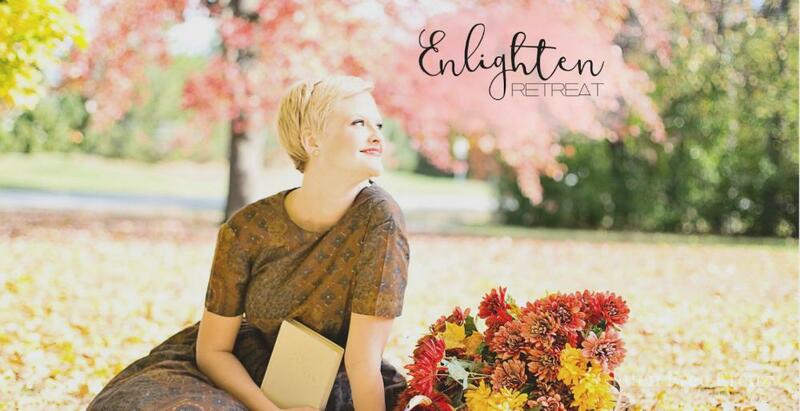 Enlighten Retreat is limited to 50ish guests including speakers. This is THE ONE that I chose last year when I saw that Abby Lawson of Book Boss and Building a Framework was going to be a speaker. 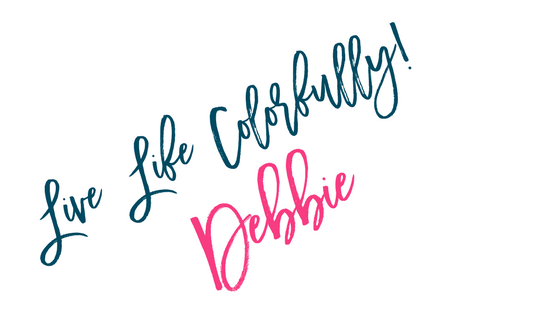 It was her down to earth sweet style that spoke to me and inspired me as well as her books when I began blogging. This was a magical setting and I truly felt like I was a special guest. You are pampered with love, attention, chef prepared food…gluten free all of it and any special diet is prepared with no extra charge. I made new friends, cried, laughed and learned things I didn’t go there to learn which is always better. I will share one magical moment: it was early in the morning mid October. I am not an early person. But they offered yoga that wasn’t yoga? I don’t do yoga. They told us it was so purifying and moving. They were right, there were lots of tears. But at one moment, at the top of the lodge where we were gathered, on one side you saw the rising sun and the other side the full moon. I had never witnessed anything like that before and it just sealed that moment there. Oh and Abby, well, she did not disappoint. She was just as sweet and personable in person as was her sister. I enjoyed several meals with them in a booth, had talks and fun as well as with many of the other speakers. Super genuine women who believe that sharing their hearts, their ideas and their gifts is a blessing. Our hosts were the sweetest gals ever! The Gluten Free Twins and I took a selfie, I’m not too good at those. And I just ordered a book from Chandice and her mom who were so kind and delightful. To be honest, there were some people there that didn’t blog. They just loved the event so much they come year after year. Whole families of women come! I know it sells out as soon as tickets go on sale because they have already booked those who wanted to return next year. 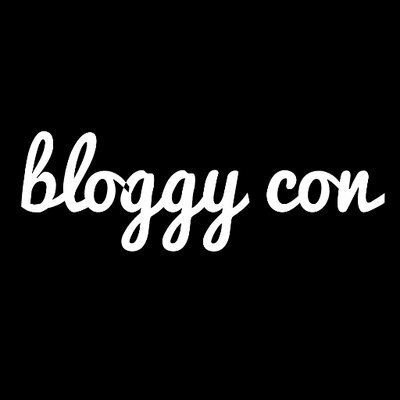 Bloggy Con has tweeted their dates for 2018 in September. 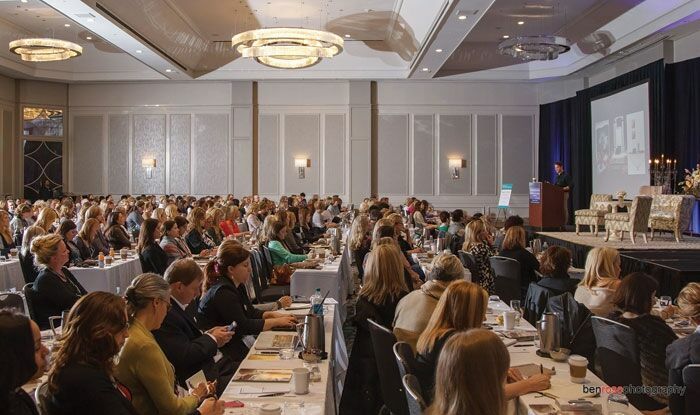 Presented by Bloggy Moms, this looks to be an excellent conference too~ Speakers have not yet been announced for this year but this conference is focused on monetizing, social media, goal setting…you know, everything we all need to be successful at our jobs. Differing levels of pricing to get you in to what you want and EARLY BIRD pricing is currently available. The web site is not yet updated from 2017. 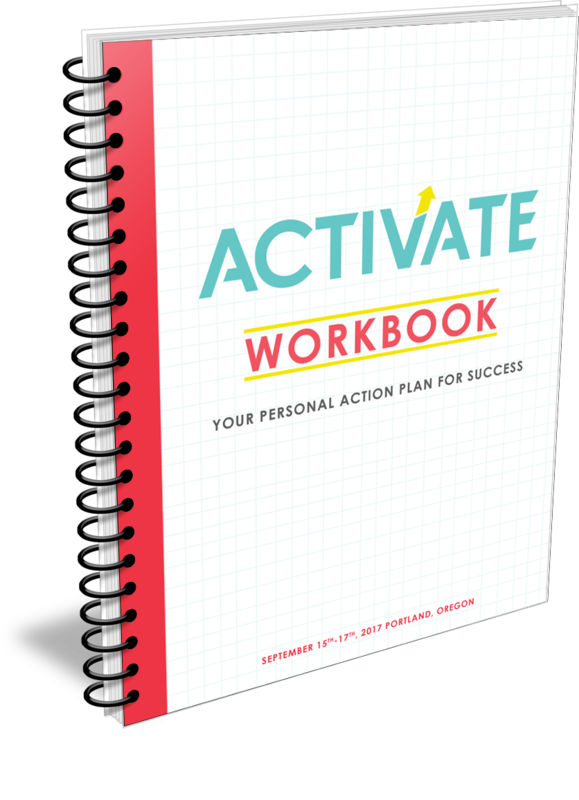 Activate is a 3 tiered Conference for Bloggers and Entrepreneurs from Elite Blogging Academy. You can purchase a ticket for the main event in basic for under $500, a main event and workshop for under $900 or a VIP ticket for under $1200. The Elite Blog Academy has gotten mixed reviews online, however, the people that I personally know that have used it rave about the content and results they have achieved through taking the course. But don’t get the two confused. 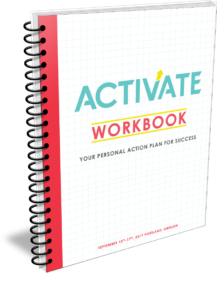 Check it out, the workbook shown is FREE. 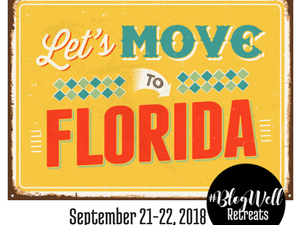 The last of the year for the Blog Well Retreat is held in September in Florida. What a great time to visit, unless there are hurricaines of course. These are considered Retreats because of the size. Limited to 30 Registrants. The retreats are touted as a High Class Business Retreat. 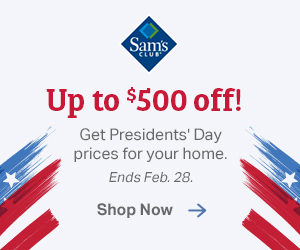 Small group coaching is available for an extra day’s purchase. DeClare is a conference to empower Christian Communicators. Great speakers with a focus on bloggers, writers, on line marketers, artists and leaders will be encouraged in sharing their gifts and their faith at this 3 day conference. Blogalicious is advertising a 2018 conference, but their info is not yet updated from 2017 held just 3 months ago. You will find that many of the fall conferences will not announce speakers and specific dates an entire year in advance. Often they do this to allow the attendees a discounted return prior to opening registration up to the public. This conference is hailed as a multi-cultural conference and has some strong sponsors behind them such as Coke and American Airlines to name just a few. 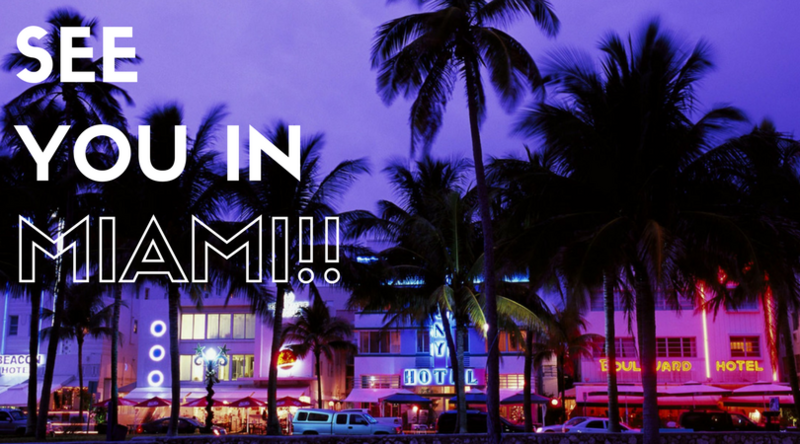 It takes place in Miami and has some truly enticing events included. The agenda features a very heavy dose of leadership, branding and moving to the next level. Blogalicious was also begun in 2009 as a one time event, but look out, they are nearing their 10th anniversary! I did not find any conferences for November and December most likely that is too much for most bloggers since we are blogging about the holidays and it is the time when monetizing can really make a difference. I also did not include conferences in Canada and the UK of which there are many. There are several more for food bloggers and also ones for crafters. I tried to pick general conferences that most of my blogging readers would find met their niche. If you know of one I missed tell me about it in the comments and I will include in an update. If you have attended any of these, let our readers know what you liked and didn’t like about it. It is a huge investment of time away from our family and of course money, so when we can get some feedback from people who have attended it is easier to make a decision feeling confident that we know what we are heading into. I hope to hear about many of your experiences this coming year~ I will be certain to share some of my retreat in September.